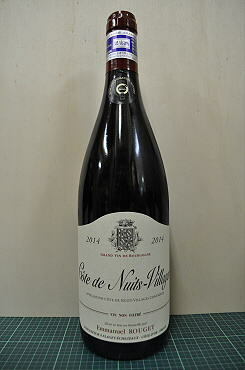 The 2014 Cote de Nuits Village, from vines that are located within the commune of Corgolin and matured in one-year-old wood (no new oak here), has an understated, quite earthy bouquet that takes time to unfold from the glass. It does not quite slip into fifth gear. There is just a touch of chalk coming through with aeration, but it just feels a little static at the moment. The palate is medium-bodied, not complex but certainly brimming with energy thanks to the keen thread of acidity, showing fine focus on the finish. Give this a year, preferably two in bottle. 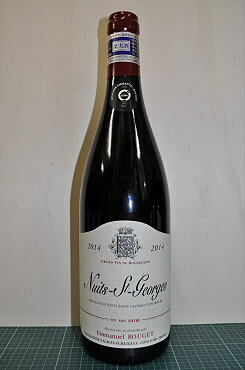 The 2014 Nuits Saint Georges Village, from vines located north of the village and matured in 30% new oak, has a tightly wound, mineral-driven bouquet that will need two to three years to open. 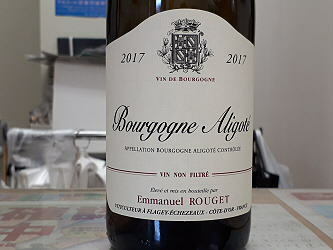 The palate is well balanced with hints of blood orange infusing the red cherry fruit, velvety in terms of texture, mimicking a decent Vosne-Romanee. 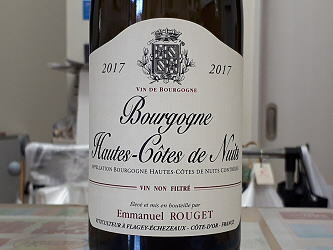 This should turn out to be a stylish Nuits Saint-Georges from Emmanuel Rouget. The 2014 Vosne-Romanee 1er Cru Cros Parantoux, of which there are seven barrels this year, has a beautifully defined bouquet, very pure and precise with wild strawberry, limestone, rose petal and a touch of blood orange. You miss a heartbeat just nosing this wine. The palate is precise, refined and very pure, a silver bead of acidity, so much energy on the finish as it fans out in graceful fashion. There is incredible persistence here, a brilliant Cros Parantoux with which Uncle Henri would have been proud. The 2013 Vosne-Romanee 1er Cru Cros Parantoux was enduring an extremely long malolactic when I tasted it from barrel in December 2014. So yes, the nose is difficult to assess but the palate is very well defined and the mineralite already shines through. I like the primal energy here, the finish tense and full of frisson that bodes well for whenever it deigns us with its presence. Will it match the imperious 2012? Hmm...not quite sure about that, but it should be a worthy follow-up. 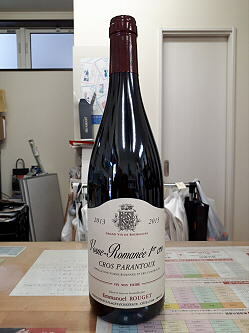 There are four barrels of the 2012 Vosne-Romanee 1er Cru Cros Parantoux, the famous premier cru shared with Meo-Camuzet. It has a deeper and a relatively broody bouquet when compared to the Echezeaux, and here it refuses to open up. But one can detect real mineralite, a roiling intensity below. The palate is very harmonious, with a cashmere opening. The acidity is nicely judged and cuts through the swathe of rounded, corpulent red fruit. The finish is longer than the Echezeaux, with a spicy note loitering at the tip of the tongue. 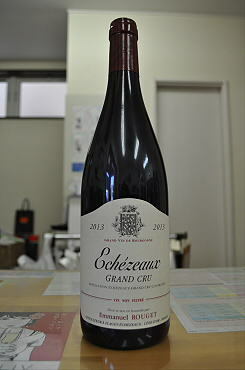 The 2013 Echezeaux Grand Cru is matured in 100% new oak. The nose is dark and broody, but very well defined and unfurls with hints of iodine and seaweed. The new wood is clearly well integrated and allows the terroir to shine through. The palate is vivacious and bounds along with energy that permeates through the blackberry, boysenberry, mineral and crushed violets notes, then with aeration, along comes a note of kirsch. 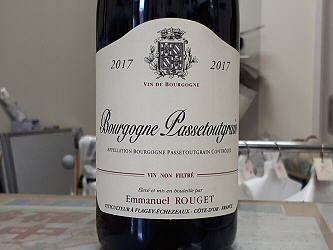 This is well structured and contains so much energy on the finish that it might well turn out to be Emmanuel’s best contribution to the 2013 vintage.